Stephanie Hawk is an enrolled member of the Citizen Potawatomi Nation (CPN). Stephanie graduated from Seminole State College in 2013 with an associate’s degree in social work, where her academic excellence helped her join the Psi Beta National Honor Society. She currently plans to pursue her bachelor’s degree at the University of Central Oklahoma in the same field. With her vast experience spanning various departments within CPN over the last 14 years, Stephanie has a comprehensive understanding of what the Nation offers its citizens and community members; she uses this information to refer students to other programs within the CPN. Most recently, she worked to assist Native American families with Low Income Home Energy Assistance (LIHEAP), Community Service Block Grant (CSBG), and the CPN Tribal hardship program. Stephanie joined the CPN Department of Education as Advisor in December 2018, where she focuses on students with last names I-Z. 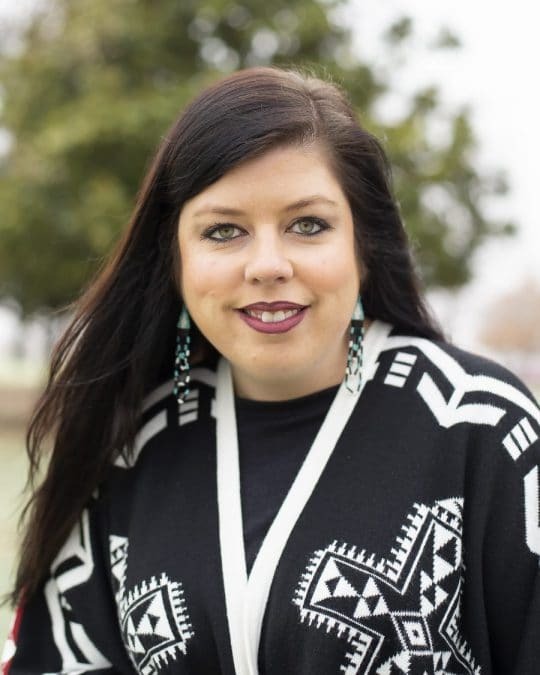 Stephanie’s passion for helping Native American students stems from her commitment to giving students guidance that she wishes she had been given in order to help them avoid pitfalls and achieve educational success.